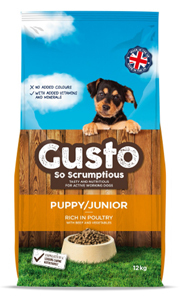 Gusto Puppy/Junior features a delicious recipe rich in poultry with beef, added vegetables, vitamins and minerals. 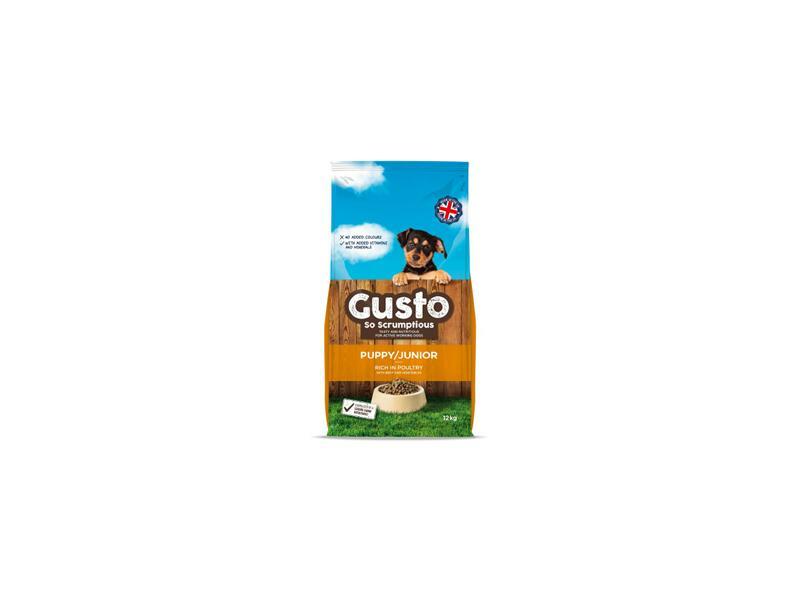 With functional fibres to help support healthy digestion, Gusto Puppy/Junior has no added colours and contains natural antioxidants to keep each bag fresh and tasty. Perfect for meeting energy needs during this vital growth stage, without encouraging excess weight gain. Once your puppy has started to accept solid food, introduce Gusto Puppy/Junior into his diet over the course of 7–10 days. Can be fed dry or moistened with water or gravy to the consistency your dog prefers – let them decide! There are currently no questions for Gusto Puppy/Junior - be the first to ask one!